This week marks the return of the Paris motor show and there has been plenty of new metal revealed on press day, including the odd surprise. Of course all of the world’s biggest names in the industry were out in force and here are a few of the highlights at the Paris Expo so far. 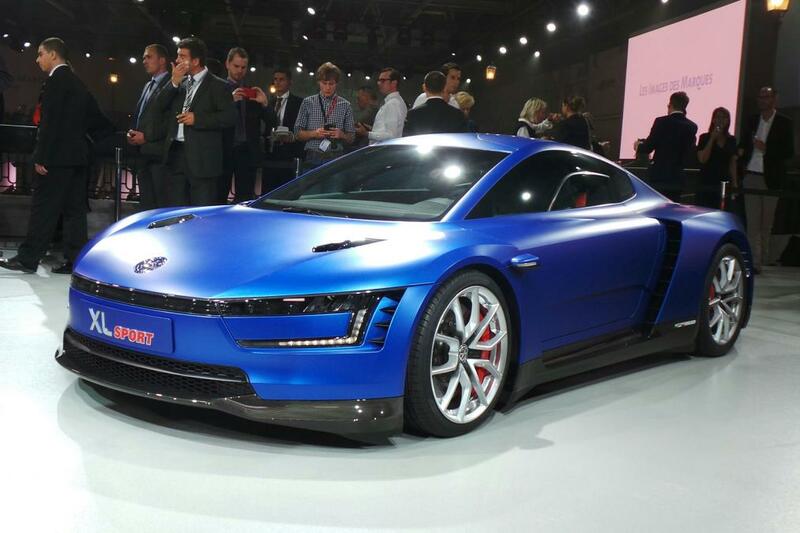 Volkswagen put on its obligatory extravagant conference to reveal models from its own brand, plus others from Audi, Lamborghini and SEAT, and was one of its own creations that stunned the crowd of press observing the conference in the form of the VW XL Sport. Based on the XL1 – a car capable of 313mpg, remember – the XL Sport is fascinatingly powered by a 197bhp Ducati engine that will freely rev all the way to 11,000rpm. It’s no doubt a one-off to showcase what is possible these days when mating car and bike technology, but it already has everyone kissing at its feet and the XL Sport’s bodykit might also have something to do with it, as well as that awesome blue paint job. We knew something important was coming from VW’s supercar arm and many were glad to see the Italian firm join the modern day with a hybrid model in the Asterion. The swooping supercar takes the V10 from the Huracan and combines it with three electric motors to create a total of, wait for it: 897bhp. 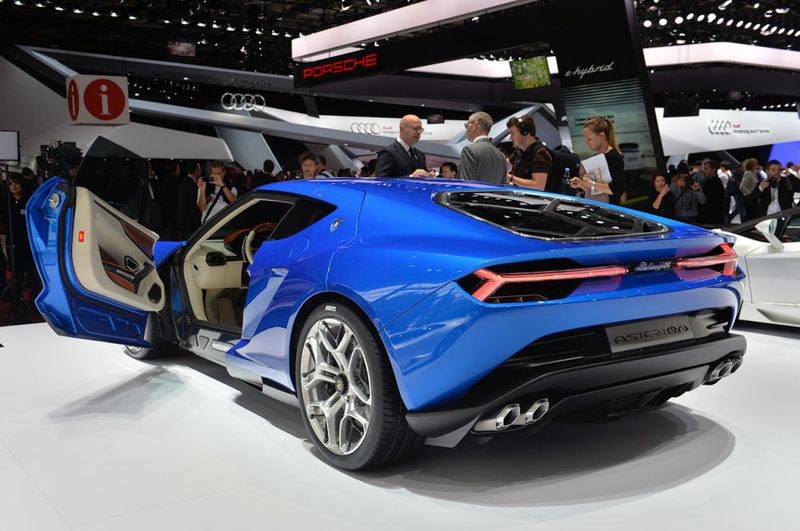 The Asterion showcases a direction taken by Lamborghini’s rivals and it was good to finally see them follow suit. The 5.2-litre V10 produces 602bhp on its own and with the electric motors help, the Asterion reaches 62mph from standstill in just 3.0 seconds, but this arrangement will likely make production on Lambo’s SUV before we see it in this model. 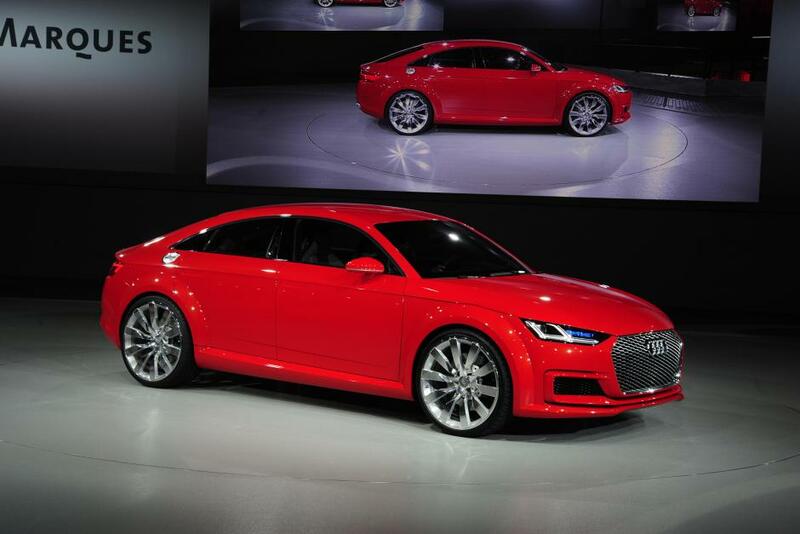 Not one to shy away from a niche, Audi looks to be gunning for the Mercedes CLS with the TT Sportback, an extended version of the TT coupe. The car is based on the Allroad Shooting Brake Concept displayed earlier this year and adds two extra doors to the regular TT, adding another name to the desired number of 60 models on sale by 2020 for Audi. VW’s MQB platform is used once more in this instance and further highlights its versatility and the TT Sportback is perhaps most comparable with the A3 Saloon, but compared to the TT coupe the Sportback is 290mm longer, 60mm wider and has a 120mm longer wheelbase. 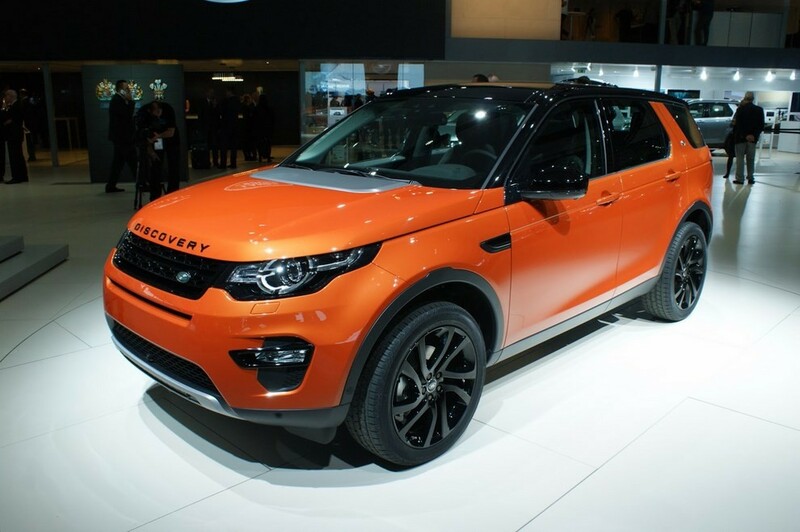 We’ve already seen the standard Land Rover Discovery Sport in pictures, but the Paris motor show was the first time we’ve seen it in the flesh and in this glowing orange, it certainly looks the business. With a 5+2 layout, the Discovery Sport replaces the Freelander and is the first of three new Land Rovers. It is built on a heavily modified Range Rover Evoque platform and utilises a nine-speed auto ‘box or a six-speed manual, but so far hasn’t show us much in the way of revolution, with the engines being nothing new and its economy figures far from groundbreaking. Honda has been teasing for some time now with the new Civic Type R and its latest concept of the superbly hot hatchback looks rather tasty indeed. 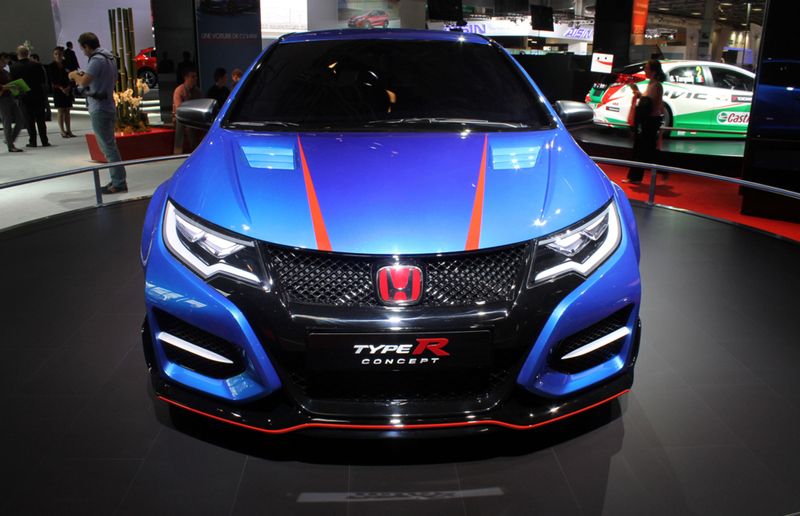 The blue and red paint job is eye-tingling bedazzling, but the bodykit makes the Civic look like a completely new beast altogether and looks to be a rather extreme rival to the likes of the VW Golf R and Renault Megane RS. It is the tech that Honda has revealed that will help go after the front-wheel-drive lap record at the Nurgurgring with the Civic, including the new 2.0-litre i-VTEC turbocharged engine that will produce in the region of 280bhp. 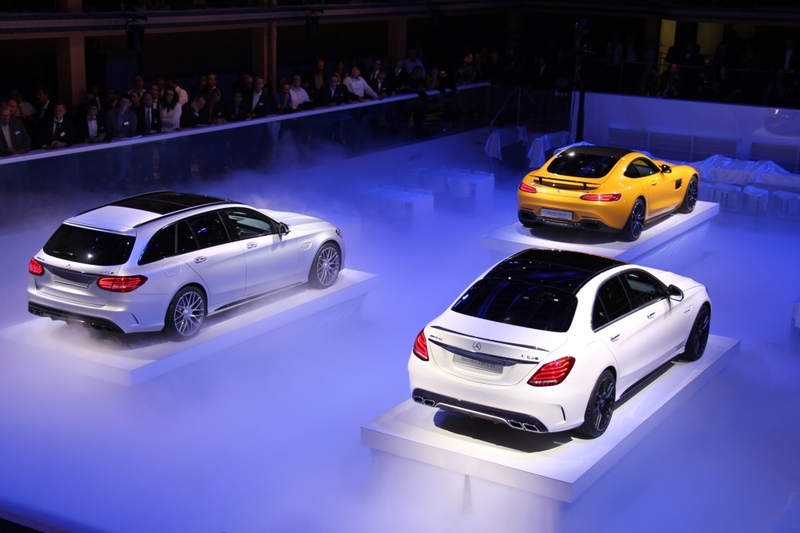 In the days leading up to the Paris motor show, Mercedes revealed to us the brand new version of the C63 AMG – renaming it the Mercedes-AMG C 63 in the process. Displayed in both saloon and estate guises, the C 63 goes after the new BMW M3 and M4 and shares the same 4.0-litre twin-turbo V8 from the AMG GT, producing 469bhp and 503bhp for the S variant. The saloon is as potent as it sounds and races from 0-62mph in 4.0 seconds in its fastest S tune – 0.5 secs faster than the outgoing version – while the estate gets there in just a tenth more. 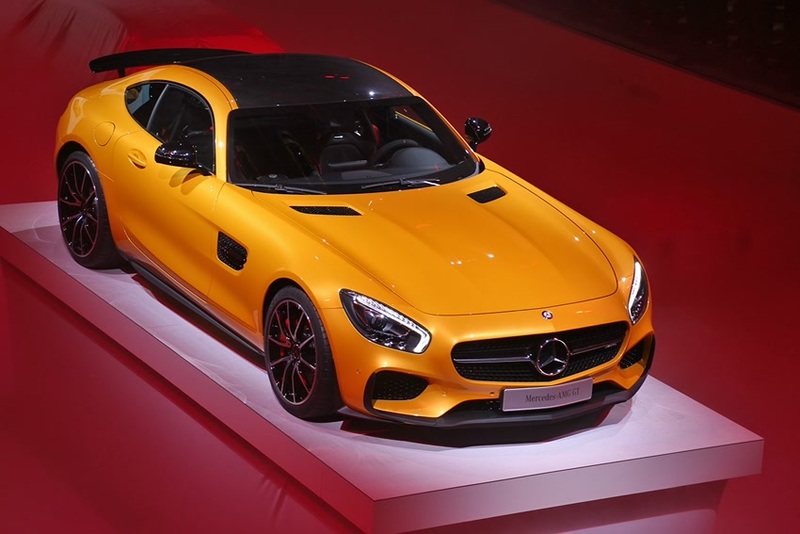 See all you need to know about the Mercedes-AMG GT here.